Find Edisto Island, SC Homes for sale. View Photos, Maps and MLS Data Now! 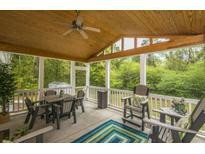 2Nd Row - Over 1500 sf of decks and porches to get the most out of your time at the beach! Agent owners MLS#19011503. Home Advantage Realty Llc Lowcountry. 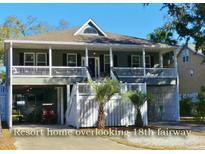 Beckett Plantation - The neighborhood and home are safe MLS#19011447. Keller Williams Realty Charleston West Ashley. Wyndham Ocean Ridge - Beneath the home, there is plenty of space for parking, entertaining MLS#19011280. Edisto Real Estate Company, Llc. 2018 Vacation Rental income was $29,000+, Flood Insurance AE Zone, many recent upgrades & refurbishments; new roof, fresh exterior paint, new major appliances THIS IS ONE BEAUTIFUL BUY-NOTHING CAN COMPARE! MLS#19011100. Carolina One Real Estate. Heavy crown-molding with arched entryways and soft rounded corners. MLS#19011167. Carolina One Real Estate. The setting offers complete privacy. The property has 630 MLS#19010886. Carolina One Real Estate. Let's not forget about the outdoors! MLS#19010943. Atwood Vacations. Wyndham Ocean Ridge - There is no need to wait on the right moment, it's here! ! MLS#19010757. Atwood Vacations. A full bath is located off the den. MLS#19010702. Edisto Real Estate Company, Llc. The Neck - Located just a few minutes from Edisto Beach. MLS#19010401. Edisto Real Estate Company, Llc. As you enter the home, the dining area off the foyer is the perfect place to host holiday feasts with family and friends. MLS#19010160. Edisto Real Estate Company, Llc. Large Home located on a secluded 3.84 acres on Edisto Island with a detached garage. MLS#19009615. Johnson & Wilson Real Estate Co Llc. Beachfront - you can enjoy this house while you wait to build your dream house in the future. MLS#19009440. Edisto Sales & Rentals Realty. 1.6 acres of land BEAUTIFUL CREEK & MARSH VIEWS, GREAT FISHING & CRABBING. MLS#19009285. Edisto Sales & Rentals Realty. The kitchen features two gas wall ovens, refrigerator, microwave, Bosch dishwasher, double stainless steel sink MLS#19008114. Carolina One Real Estate. 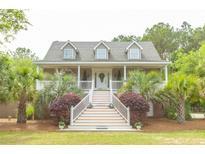 The Ideal Creekfront Home & Location-come See & You Will Agree! ! MLS#19006376. Carolina One Real Estate. Beach Walk - There are just as many plusses outside as in! MLS#19006478. Carolina Homes & Land Realty, Llc. Soaring ceiling enhance the large entry foyer,well equipped (more) MLS#19006293. Re/Max Pro Realty. Edisto Beach - The backyard backs up to the bike path making exploring Edisto a breeze and also offers an expansive natural buffer between houses. MLS#19006284. Edisto Real Estate Company, Llc. Rental History for 2016-$19,800, 2017-$17,000.BEST BUY FOR A FREE STANDING HOME AT EDISTO! ! MLS#19006307. Carolina One Real Estate. The neighborhood offers 2 boat ramps & a large dock on Milton Creek. MLS#19005930. Carolina One Real Estate. feet of professionally decorated living area MLS#19005651. Edisto Real Estate Company, Llc. Edisto Beach is one of the last family beaches with no hotels, fine restaurants anda gorgeous golf course. MLS#19005464. The Huffines Company, Llc. Less than 10 minutes to Dawhoo or Steamboat Boat Ramps. MLS#19002944. Edisto Sales & Rentals Realty. Edisto Beach - 5 Bed Rooms, 4 Baths, 1/2 bath, Separate utility room off the kitchen with plenty of storage , whole house reverse osmosis water system, Heart Pine floors throughout, bead board ceiling in living room and MLS#19002819. Edisto Sales & Rentals Realty.